This group plays hard and fast. Its strength is in its perimeter play as most every player can seemingly make threes or get to the basket. A.J. Neal (pictured), a 6’0 freshman at Ocoee West Oaks Academy, had his shot working from deep, nailing four beyond-the-arc shots in succession at one point. He also didn’t hesitate to go hard to the basket and challenge defenders that way. Jahsean Corbett, a 6’4 freshman from Poinciana also stood out. He made some tough finishes around the basket and put in work in the rebounding department. Though young, this group could surprise in a year or two. As their size and skill level grow, both collectively and individually, there could be more than a guy or two that gets to the next level. We came away intrigued by forward David Rock and guard Nikai Martinez. Rock was all over the offensive glass, ran the floor well for a developing big guy and showed an ability to make shots to fifteen feet. Martinez looked to push the ball at every opportunity, got to the basket often and finished well in traffic. This group has been playing for quite a while together and it shows. Formerly known as the Jayhawks, they have come under the E1T1 umbrella and should represent that program well. James Repass, a 6’9 freshman out of Jacksonville Providence, continues to improve with every outing. He has nice footwork in the post, a soft touch around the basket, and controls his rebounding area. RaHeem Sanders, a 6’1 freshman from Orlando Oakridge, is a high-level athlete that plays hard, challenges defenses in taking the ball hard to the basket, and anticipates well for steals and tips on the defensive end. A good portion of this group comes from the Jacksonville area but a couple of notable players are from out of state. Madison Dorr, a guard out of St. Francis in Alpharetta, Georgia, is an athletic slasher to the basket and a tenacious offensive rebounder. 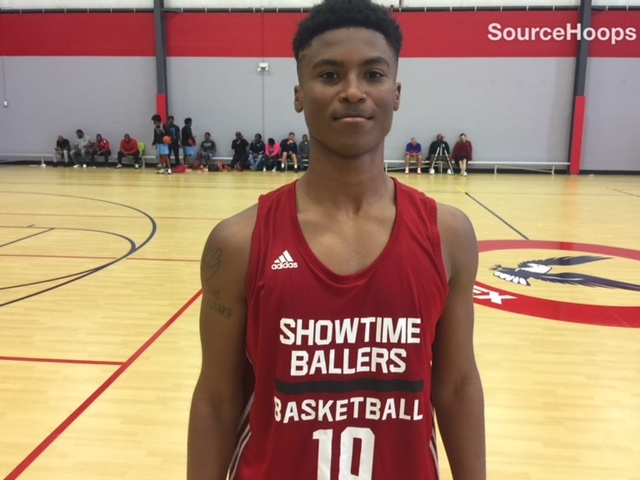 Darius Johnson, a guard from Virginia whose father is on the UCF coaching staff and will be moving to the Orlando area after the school year, displayed solid point guard instincts. He pushed the tempo, got others easy shots, was active defensively, coming up with four steals in the game we watched, and hit open shots from mid-range and beyond.